And we have another Canadian band on this website. Canada’s metal scene has really grown stronger on the last years. Of course there are classical bands that already made the Metal scenario in Canada already very respectful, but the underground there is really amazing me. Today I’m reviewing the “Apocalyptic Industrial Death Metal” band H5N1, from Toronto. 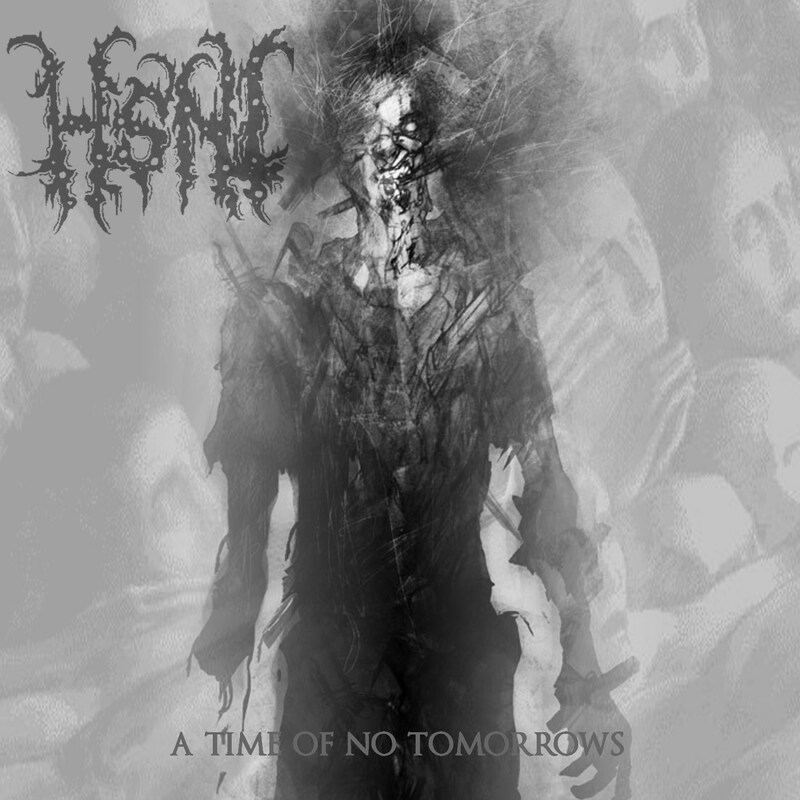 Founded in 2008, the band released on demo in 2009 and their début album now in 2014, named “A Time of No Tomorrows”. Well, I really enjoyed “A Time of No Tomorrows”. A very good album, in my modest view. It’s not pure Death Metal or an all Industrial Metal band, the industrial elements are a few and are there to create, I believe, a dark and hopeless aura. This release, as well as the song titles, reminds me a lot of the Brazilian War Metal band GoatPenis, a raw, brutal sound, with over the top growls and a chaotic feel, H5N1 crafted a work of their own, completely creative and, obviously, not sounding like copies of other bands. As I mentioned, the only remembrance I have when listening to “A Time of No Tomorrows” is GoatPenis, but, as I said, a remembrance, not a clone. Great drumming, interesting use of two basses, cold riffs and tremolo picking as well as hateful vocals makes this album a must for those that enjoy this genre. The fuzzy low-fi production completely fits the album’s mood. Of course this will please many and turn other away. You can clearly see that I liked it. Sure I enjoy polished production, but sometimes it just doesn’t really fit the music, such is the case of “A Time of No Tomorrows”. But, no worries, when I say that the production is a bit fuzzy and low-fi, it doesn’t mean that the album is unlistenable. Not at all. It’s just that it’s not completely clear. And, like I always do (and always repeat myself), I ask you to support the band any way that you are able to. You know, even sharing their Bandcamp page of your social network of choice is already something that you can do to help them. I hope to hear new releases from H5N1.